WORK TO BE DONE IN THE KITCHEN GARDEN. PREPARATIONS FOR EARLY CROPS. 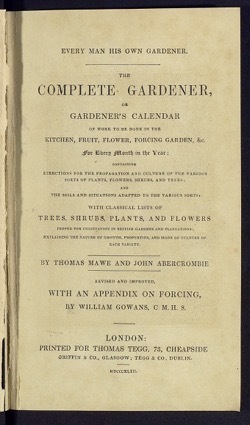 As early productions of several sorts of kitchen garden vegetables are in particular request, this is now the principal season to begin to make preparations in forwarding that business, whereby to raise the respective sorts required in early perfection, both by means of hotbeds, and by culture in the natural ground. 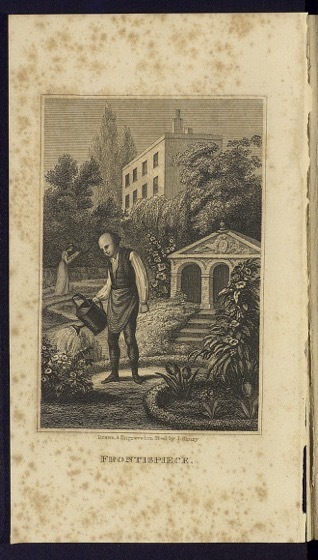 But as some particular sorts of the more tender species are to be obtained only by aid of hotbeds, such as cucumbers and melons ; and others of more hardy nature, when in request in the earliest season, require also the assistance of hotbeds, such as sallading, radishes, asparagus, kidneybeans, peas, &c. ; that where it is required to have any of these productions as early as possible, should now proceed in forwarding, in preparation, the necessary supplies of hot dung, rich earth, and other requisites proper in their cultivation, by hotbeds accordingly, as explained for each under its respective head. And for several early natural crops in the full ground, should now prepare warm borders, and other similar compartments, in proper time for their reception, by manuring, where necessary; with proper dung, and giving a general good digging, ready for early peas, beans, radishes, spinach, &c. ; and for the particulars of which, see each sort under its respective head, as observed above in the hotbed articles. Categorized under: Books, Education, Flowers, Food, Fruit, History, Horticulture, Nature/Outdoors, Plants.